Experience the very best of Europe with Fred. 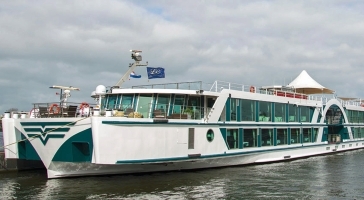 Olsen's brand new programme of river boat cruising. Sail the breathtaking Danube; savour the highlights of the heart of Europe on a journey through the spellbinding Moselle, Rhine and Main valleys; enjoy a taster cruise to Amsterdam when the tulips are in full flourish; and much more. From the comfort of Brabant, mesmerising sights will unfold before your eyes; from picturesque countryside and historic castles, to terraced vineyards and charming towns. On each enticing Fred. Olsen sailing you'll find friendly service and a welcoming atmosphere on a boat carrying only 156 guests. There's a host of new waterways to discover, all to be enjoyed with the reassurance of Fred. Olsen's knowledge and rich sailing heritage.